Thank you all very much for your participation to our 5th annual photo contest. Here are the honorable winners selected after careful consideration. Gold prize winner, “Shuen no butai” expresses an inner calmness of the time prior to death. 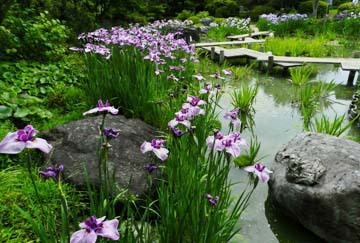 Silver prize winner, “Ryolan no mizube” has a unique perspective technique that enhances Japanese garden beauty. Raiensha-sho was selected by receiving the most visitors’ votes. Thank you all very much for your cooperation. 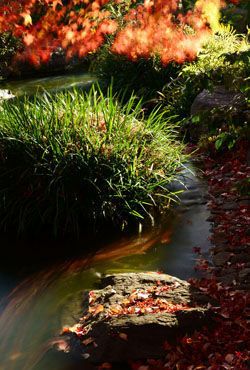 Would you like a little escape from the heat？How about a break in the shade, and relaxing by a stream running through our Japanese garden? Don’t miss this special free admission offer! Would you be interested in Tsukimi (moon viewing in early autumn) at an illuminated Japanese garden? 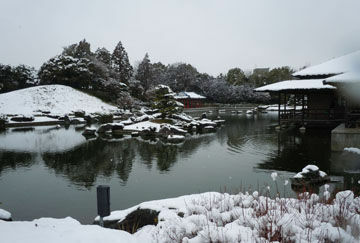 Gagaku (the court music of Japan) concert is held on that day.